Happy Wednesday, and almost the end of January - can you believe it? The end of the month challenges at Simon Says Stamp are always your favorites - Anything Goes! Guest Designer Glenda, my teamies and I are using Penny Black stamps this week, and we'd love to see you using them, too, but it's not a requirement to enter our challenge. Here's my card this week, using some of my favorite things: music, flowers, pearls, lace, and aqua! This Penny Black Petal Party clear stamp set is fast becoming a favorite of mine - the flowers are just gorgeous, and can be colored as I did, or paper-pieced with equally lovely results. I paired it with some music background paper, and some strips of paper from some older My Mind's Eye paper pads. I stamped the sentiment from the set and trimmed it out using a Nesties Labels Twenty die, and then added some lace and aqua pearls to finish it. I love the way it turned out! Heidi is again offering the random winner of our challenge a $50.00 gift voucher to the Simon Says Stamp Superstore, to spend on anything you'd like! Need some ideas to get started? 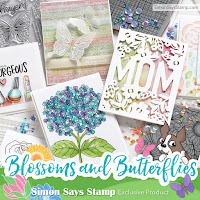 Come on over to the Simon Says Stamp challenge blog to see some beautiful cards by the Design Team! Another challenge at Moxie Fab World's 75 Creative Card Challenges is to make a miniature card, no bigger than 3" square. I've always been intrigued by tiny things, and I just got this cute No Matter What set by Verve and decided to use it for my card. It measures 2 1/2" X 3 1/2". Not much explanation needed here; I just stamped the little heart flowers and the sentiment, colored it in with Spectrum Noir markers and then added some heart pearls and Martha Stewart punched butterflies. I haven't played at CAS-ual Fridays for awhile, but this is my week! The challenge is simply to make a CAS card and use markers. I wanted to use this new Hero Arts Tall Flowers stamp again, and the colors from the current Hero Arts blog challenge: canteloupe, pool, and soft olive. I stamped the top of the stamp, fussy-cut around the flowers to eliminate the stems, then glued them to my white card base. A simple sentiment was all that was needed to keep it CAS. Here's another card for the Moxie Fab World 75 Creative Card Challenges week: Make a Window Card challenge. I used the last of this lovely printed paper from last year's BoBunny Kissing Booth paper pad, affixing it to a white card panel, then cutting out the Spellbinder's Scalloped Heart die, then running it through a Sizzix Vines embossing folder. The panel was then popped above my white card base which had been stamped with my sentiment (an oldie from Hero Arts, CL163 Always Heart), and then I added a white seam binding bow anchored with a pretty Bella Blvd flower button from Kathy. Another Valentine to add to my stock for this year! I've been trying to get back into some challenges that I enjoy making cards for, so here's one for the Moxie Fab World's Card Challenge Week: Make a Card with a Window. It's been too long since I've played along with one of Cath's Moxie Fab World challenges! This one, to make your own background paper, sounded like fun, and I got to use some new to me stamps that were sent to me by a generous friend. Using 4 different green inks (Hero Arts green hills, grass, field greens, and forest green), I stamped 5 of the leaves from the Leaf Prints set (HA CL395). Then I trimmed it to the size you see and ran it through a Swiss Dots embossing folder, inked the dots lightly with one of the green ink pads, framed it in green, and attached it to my white card base. I stamped a small sentiment (HA CL342 Everyday Sayings), and die-cut some fern-like leaves (Memory Box Meadow Leaf). Those were attached with a button and popped in the corner of my background panel. I hope you'll check them out and enter also - you have until February 4th. I'm sharing another card I made using Simon Says Stamp exclusives: their Fresh Daisies die and Just a Love Note stamp set. It's nice to have a sentiment that is vertical for a change, and I think it pairs well with this long flower die. The tiny little hearts stamped near the bottom are just so cute! I know I'll be using them lots for my Valentine's cards! The chevron paper border is from Simple Stories "Sn@p Color Vibe" paper pad. Thanks for visiting today - hope you have a great one! Hello! Happy Friday! I'm stopping by to share a card that is going up today at The Craft's Meow blog. We're not even to the end of January, but I'm looking towards spring already, and made this card that I can use for the many spring birthdays coming up this year. When I think of spring, I think of pastels, so I used these sweet papers from a collection last year by Simple Stories called Baby Steps. The stamps on my card are from one of my favorite sets "Fly Free". I stamped the birdcage and white embossed it, cut it out using a Nesties Labels 18 die, and then punched some Martha Stewart butterflies to add more dimension. I used a light brown ink for the sentiment because that color was in the plaid background paper, and I wanted to keep the soft feel going. I hope my card inspires you to pull out some stamps and get ahead on your birthday cards during these long days of winter! 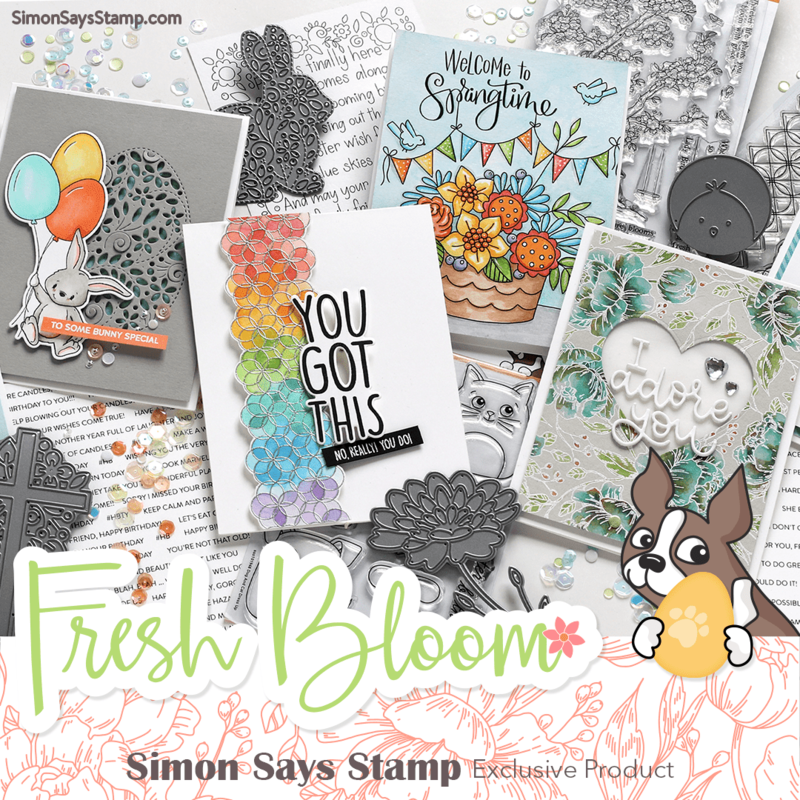 There are some really fun sentiments and motifs on the Simon Says Stamp "Just a Love Note" exclusive stamp set; don't you love those tiny hearts?. So I gathered up some Spellbinder's Scalloped heart dies and some papers (Basic Grey "Lucille" and Authentique "Lovely" Collection) that I liked and this is the result. The felt heart button is from my stash. If you're here for The Craft's Meow January release blog hop, please click HERE. Happy Wednesday! It's time for another Simon Says Stamp challenge and this week we'll be paper-piecing! This week the Design Team and Guest Designer Glenda Wyatt are using lily bee design papers - you don't need to have these papers to enter our challenge, but if you do have them, we'd love to see what you do with them! This card uses all Head over Heels design papers, plus 2 Hero Arts sets, Etched Flowers and Truly Grateful. I put 2 layers on each of the flowers, raising them both up with foam squares, and centering them with a clear sparkly dot sticker. Coincidentally, our little granddaughter is turning 2 years old tomorrow, so I also made this card using the Head over Heels collection. She recently discovered owls and so I looked through my stamps and found this one from Paper Smooches, called "Chubby Chums". My letters are Die-Namics By-the-Letters die cuts, the tree branch is a Simon die called Small Forest Tree, and the twine is We R Memory Keepers. I love paper-piecing, so I'm really looking forward to getting some great inspiration from YOU! The random winner could win a $50.00 gift voucher from the Simon Says Stamp Store! 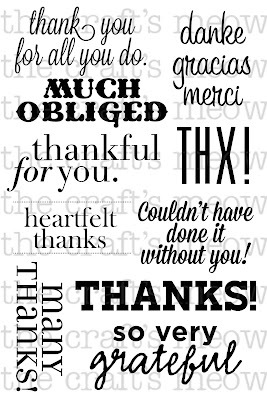 Before we get started today, I wanted to welcome my newest blog followers and also say thank you to all of you who left such lovely comments over the last week during the Hero Arts Blog Hop and the January release of The Craft's Meow stamps. I've kept you busy visiting, and I so appreciate those of you who took the time to leave me a comment. All of the stamps come from the Simon Says Stamp exclusive stamp set called Just a Love Note. I added some strips of this fun washi tape from Doodlebug Design called Dear Heart and framed everything up with a panel from Simple Stories Sn@p Color Vibe..
Sure makes it easy to whip out a fast card! Today is the day that our new January stamps are being released at The Craft's Meow, and it's our custom for the Design Team to have a Blog Hop using all of the new stamps! You should have arrived here from Karen's blog. I made 2 cards for you today. 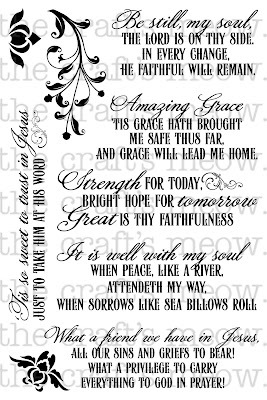 My card uses one of Nina B's Beautiful Hymns, backed by some repeated stamping of a motif from the older Lovely Ovals set. All I needed to add were the paper roses and a grosgrain ribbon. This one uses woodgrain hearts from Karen Baker's Lark Additions set, which is our free set this month with a $50.00 purchase, and the sentiment is from Many Thanks. I love how the hearts also give an impression of a forest of birch trees. I think this would be a good card to send to a man. You can now view and purchase the new January sets at The Craft's Meow Store! Your next stop is at Lindsay's blog. Don't forget to leave a comment at each stop, because we're giving away all FIVE new sets to one lucky person! You'll have until 9 PM PDT, Wednesday, Jan. 23rd to leave a comment at each blog to be eligible for the prize. If you happen to get lost along the way, just go to The Craft's Meow Blog for a list of all the blogs participating and to see all 5 new sets revealed. I kept my card fairly simple today, using papers from My Mind's Eye The Sweetest Thing pads, forming the strips into various lengths and widths of banners. I chose this sentiment because of the beautiful font, and simply added some punched butterflies to accent it. 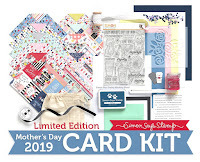 I hope you'll visit The Craft's Meow blog to see some other wonderful cards using this set, made by my teamies and our Guest Designer Jennifer Ingle. Don't forget to leave a comment there by 9 PM PST tonight for a chance to win this Many Thanks set! And I hope you'll visit again tomorrow for the full reveal of all 5 new sets for our January release, along with a blog hop showcasing them (and a chance to win ALL FIVE new sets)! If you're here to see my blog post for the Hero Arts Hostess Blog Hop, please click HERE. Welcome to a Sneak Peak at two of our new January releases at The Craft's Meow! Today we're showing you 2 new sets designed by Karen Baker. She calls them Happy as a Lark and Lark Additions. I love these sets, so I made you 2 cards, a feminine one and a more masculine one. 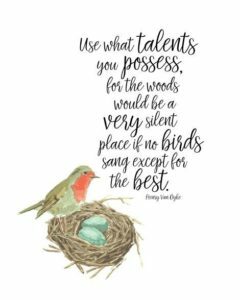 This first one uses her bird and a sentiment from Happy as a Lark, along with a die-cut birdcage and leaves, and some punched flowers. The background paper is from pebbles Family Ties. I also added some gingham ribbon and some aqua pearls. This one is a bit less fussy, using Karen's big woodgrain stamp and the same bird from Happy as a Lark, with a sentiment from her companion set Lark Additions, which is our free set with a $50.00 purchase. I also added a subtle embossed bird background. Please visit The Craft's Meow to see my teamies' takes on these wonderful sets, and leave a comment by 9 PM PST tonight to have a chance to win these new sets! Then please come back tomorrow for a sneak peak of our last new set of our January release! 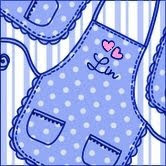 If you're here to see my post for The Hero Arts Hostess Blog Hop, please click HERE. I chose just one motif and 1 sentiment from it, and paired them up with these papers from My Mind's Eye Quilting Bee (thank you, Marcy!). I colored my image pulling the colors from the papers, and then just added some faux stitching and some buttons. Please visit The Craft's Meow to see lots more takes on this unique set by the Design Team and our Guest Designer Jennifer Ingle, and leave a comment by 9 PM PST tonight to have a chance to win this new Crafty Shelf set! And please come back tomorrow for another day of new releases! If you're here to see my post from the Hero Arts Hostess Blog Hop, please click HERE. Welcome to a preview of our January stamp sets being released at The Craft's Meow! I stamped the leaf motif repeatedly on a panel of white cardstock, then framed it with a matching green border and added it to my white card front. Next I stamped one of the florals along each edge . The Amazing Grace excerpt was stamped and trimmed out using a Nesties labels twenty die, again framing it up with the same green, and then stamping another of the florals. I hope you'll visit The Craft's Meow blog to see what my team-mates and our January Guest Designer Jennifer Ingle did with this lovely stamp set. Leave a comment at The Craft's Meow blog by 9 PM PST tonight for a chance to win this new Beautiful Hymns set! And please come back again tomorrow for another preview of one of our other new sets! If you're here to see my post for the Simon Says Stamp challenge, please scroll down one post, or click HERE; thank you. Hi! 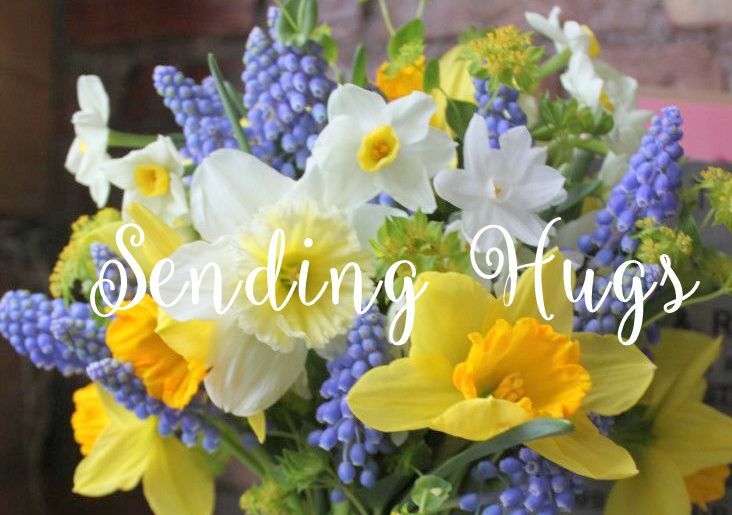 Welcome to the 3rd day of the 2013 Hero Hostess Blog Hop! 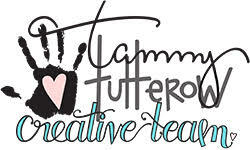 We alumnae Hostesses are so excited to be participating again this year to show you all some of our favorite new 2013 Hero Arts stamps; I am so honored to be among this wonderful group of creative ladies. The Hop began on Monday, and will continue all the way through until Friday, with 5 or 6 blogs each day for you to visit. You should have arrived here today from The Hero Arts Club Blog; I'm your first stop. I made 4 cards for you today, so let's get started. My first card uses my favorite flower stamp from the 2013 catalog: Tall Flowers. Here I stamped only the top part of the stamp above and below the sentiment from Friends are Treasures, using alcohol markers to color the flowers. Then I just added some turquoise and golden gems in a few of the centers. My next stamp is called Tweed Pattern. I white embossed it on white cardstock, then used some distress markers to color in my rows. I added a sentiment from Live Life stamped in broken china distress ink, and added this flower made from Spellbinders Rose Creations dies, colored with distress stains. This is a beautiful flourish, don't you agree? It's called Leafy Vines. I stamped it with VersaMark on an ivory cardstock, embossed it in clear and then sponged on peacock feathers and peeled paint distress inks. Then I overstamped with my old favorite Music Background. I didn't want to cover up anything on this lovely design, so I didn't add a sentiment; only a punched butterfly with some pearls. My last card uses the clear set called Love Jar and I used just the branch, one of the hearts, and part of the sentiment to make this one. I stamped the open heart on various red printed papers, then cut them out and popped them above my twine hanging from the branch. Hero Arts will be awarding prizes from randomly drawn comments on all of our blogs For a chance to win, simply comment on ANY of the blogs along the Hop on ANY day, including each day's starting post at the Hero Arts Club Blog. The more comments you leave, the better your chance of winning! If you find a broken link, you can always go back to the Hero Arts Club Blog for a master list of the Hop links. Also, please report broken links to blog@heroarts.com. Thanks so much for visiting me today; you next stop is Sally Sherfield's blog, I know she'll have something amazing to show you! Enjoy! Good morning, all! Are we in the 2013 groove yet? It's Wednesday and that means another challenge at Simon Says Stamp Challenge! I used a set of Washis made from the My Mind's Eye "The Sweetest Thing" collection called Lavender "Reasons Why"; it's a set of 3 coordinating tapes, and you know how much I love my pastels and florals! To these I added a Hero Arts sentiment from their My Happy clear set, stamped with broken china distress ink, masking out the last word on it and substituting a big die-cut "Happy" from the Simon Exclusive die "Oh Happy Day", cut from the blue chevron washi tape (first put on paper). Then I die-cut some hearts from all of the washis to sprinkle here and there, using the Simon Exclusive Holiday Shapes hearts. For my 2nd card, I used the same set of Washis but added the gold dot from the My Mind's Eye "Hanging Out" Washi set and one of the labels from the Hero Arts set Truly Grateful. The gingham ribbon is from my Christmas gift from teamie Lisa. This strip pattern is one I've used for years (thanks, Mary Anne! ), but never before with Washi Tape! Washi sure beats cutting and gluing down all those strips of paper! 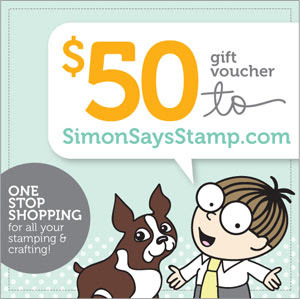 Heidi has again offered up a $50.00 gift voucher to her Simon Says Stamp Superstore! Will you win it this week? I can't wait to see what you make! Just sharing a card today for Valentine's Day, using Simon Says Stamp exclusives. Love the fun font on the sentiment from their Just a Love Note Stamp set! I decided to keep this one pretty CAS, so I just paper-pieced the String of Hearts using the tiny prints from Doodlebug Design's Sweet Cakes paper pad. Just a quick post to let you know that next week Hero Arts will be having its annual Hostess Blog Hop! I'll be participating, along with about 27 of my Sisters! 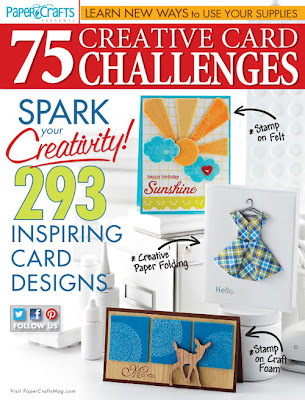 We can't wait to show you our favorite stamps from the new 2013 catalog! I hope you'll join us beginning Monday, and come back each day all next week. (I'll have something for you on Wednesday.) And of course there will be prizes - see you there! Here's a card using 2 of the new stamp sets, Tall Flowers and Tweed Pattern. I white embossed the tweed, then sponged on tumbled glass and lilac distress inks. Here's yet another card made from the elements in the Simon Says Stamp January 2013 Card Kit! The only thing of my own that I used on this card was a Sizzix embossing folder. The papers from Lily Bee Designs Persnickety included in the kit coordinate with each other beautifully! 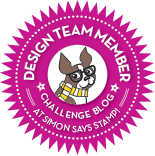 It's Wednesday and that means another challenge at the Simon Says Stamp challenge blog! This week our theme is Black and White with a Splash of Color, and the Design Team are using CC Designs products. Here's the card I made, using just part of a stamp set called Darby and Pudge. I chose this bright green as my splash of color, and also added some Glitter Ritz to the trim on her outfit. Then I cut her out and popped her on a Nesties Mega Deckled Rectangle. The wide silk ribbon and the background paper were in my stash and the die-cut snowflake is a tiny part of this Wplus9 Seasonal Sentiments die set. 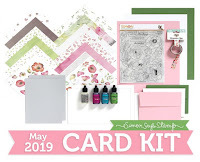 I was mostly unfamiliar with the CC Designs line - hop on over to the Simon Says Stamp challenge blog to see some of the cute images my teamies and Guest Designer Glenda have worked with! If you have any CC Designs, we'd love to see them from you, but it isn't necessary as long as you make something that is primarily black and white with one other color. I can't wait to see what you make this week! 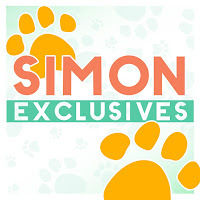 One random winner will receive a $50.00 gift voucher from the Simon Says Store! !